Too much chocolate is never a bad thing, right? According to Japanese incense company Koukando: No, no it's not. But let's be completely honest here: Eating an embarrassing amount of chocolate is quite an easy feat. 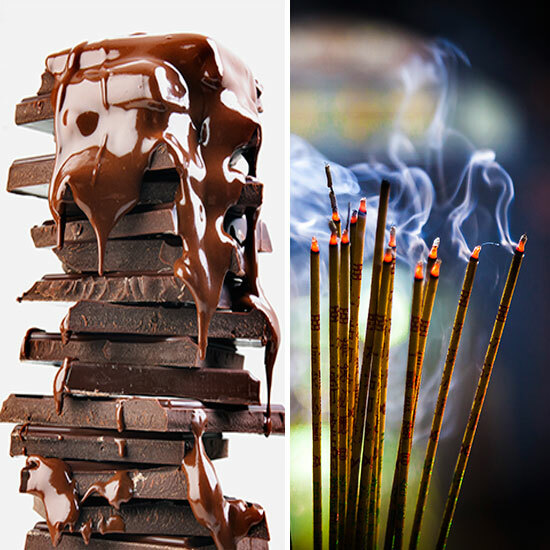 Do we really need a delicious-smelling incense to tempt us beyond our naturally-occurring, daily cravings and indulgences? The Memories of Scent: Chocolate incense collection was created to "express your thoughts with scents of precious memories," and while memories of gorging on brownies, cookies and cake are certainly "precious," we're not entirely sure if the scent pairs well with our 2017 diets. On the other hand, this could be the perfect Valentine's Day git for someone who wants to enjoy the treat without the calories. And if you happen to be that person, let us be the first to tip our hats to your impressive willpower. We're going to pass on this one, for now. That is unless we enter ourselves in a chocolate-eating contest and need some creative inspiration.